Hippo’s Super Wash on 721 Deception Bay Road, Rothwell may look like your average car wash but there are deep secrets lurking beneath – secrets which won them 2009 Moreton Bay Region Business of the Year and Small Business of the Year award, secrets which will change the way Australians view car washes forever. 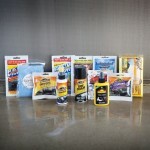 Owners, Phil and Katrina Kelly bought the business in 2005 and since that time have been on a mission to develop and build the biggest and most environmentally friendly car wash possible. Mindful of the water restrictions in the Moreton Bay Shire, they began their quest to investigate the cleanest, greenest water recycling technology available. After researching numerous technologies in America they found the purest water treatment system in their own backyard with local water treatment company Akwa Worx at Caboolture. With the treatment system in place, the Kelly’s installed two 144,000 litre water tanks underground – one to recycle the water to “A” class potable water quality,the other to capture rain water, and then set about expanding the number of car wash bays – both automatic and manual to meet growing consumer demand. 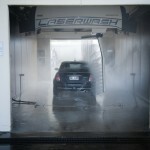 In 2010 Rothwell Car Wash was renamed HIPPO’S SUPER WASH with it being Australia’s largest car wash site. With the new name and expanded premises, Hippo’s Super Wash will unveil the TrueBlue Dog Wash with wash, flea treatment and drying facilities for your favourite four-legged friend. 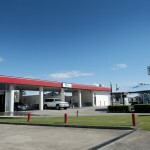 721 Deception Bay Rd, Rothwell We are located just off the Bruce Highway. Exit 142 then follow Deception Bay Road for 7km.